Here are a few of my favourite articles and blog posts from November 2018. 1. 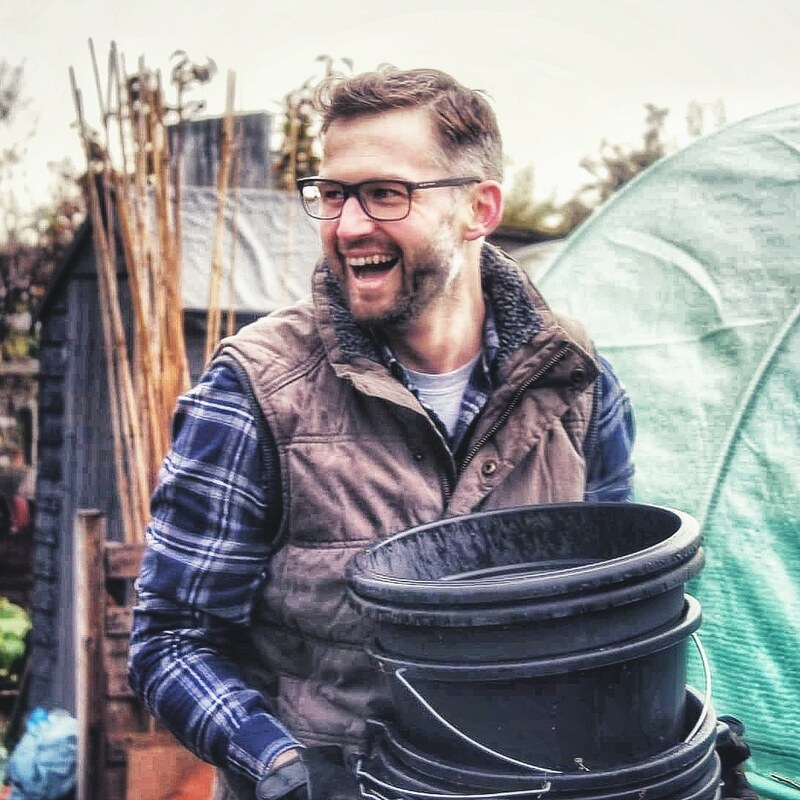 A New Allotment adventure! Paul has been provided with a small section of a large allotment plot to call his own. This is exciting! I know many people are long waiting lists for allotments across the country – its ideas like this that can offer options. 2. Butternut Squash with Feta and Pomegranate. After seeing so many pictures of squash and pumpkins on Instagram these last few months, I feel sure you people have some left over. Here’s a recipe from Mark (with pomegranate!) that you might fancy getting your gums around. 3. For The Love Of Blackcurrants. Karen is feeding her love for blackcurrants. I have to ask you to give her your answer to the question of whether you smell pee or not!? 4. Veg-stuffed Yorkshire puddings. Loved this post from Kathy. Why? Well, who doesn’t want a big Yorkshire pudding stuffed to the brim with all that seasonal veg you have to hand! 5. The Little Purple Potting Shed. If you follow Katie on Instagram (and you really should!) then her little purple potting shed makes a lot of appearances. And everyone loves it and tries to hide their shed envy. This is a fabulous post where Katie shares the history of the little purple shed and gives some top tips for choosing and building a shed of your own too. 6. Focus on: Celeriac. The benefits, the recipes, and how to grow. The very lovely Caro was awarded the Garden Media Guild Blog of the year last week. I was there to see her raise her trophy pot! It was wonderful to see Caro get the recognition she absolutely deserves. It’s for blog posts like this! 7. Allotment Month 36: sowing garlic, broad beans, peas and my new compost bins. I’m loving following along with Jack’s allotment diary posts this year. It’s why I’ve mentioned him a few times in these monthly round-up posts already. There’s some amazing crops and flowers being produced on his London plot and he has to travel 45 mins to get there too! 8. November in my No Dig Garden. Champagne before lunch? The very lovely Steph recommends it and that gets a big thumbs up from me! Even before she spoke of boozy pre-lunch celebrations, Steph is the queen of no dig allotment tips and knowledge. I’ve learned so much from her over the past 18 months of reading her blog and in the last few months, I’ve had the pleasure meeting up with her a few times too. 9. All Change. Reading this and watching the accompanying video from the brilliant Agents of Field had me in tears. I was devastated! It didn’t last very long as those crafty agents had a little trick up their sleeve – take a look. 10. Wonky beds or allotment chic? Earlier this year, Adam decided he needed to take stock, review and start again with his plot. After reading his post I thought it was a very well thought out idea and I was keen to follow his progress. Here’s another instalment from November. Thanks once again for the feature. I’m patiently waiting for Spring to arrive so I can make a start on the new plot. Looking forward to the prospect! Pleasure Paul. Looking forward to seeing what you do. Great blog posts, all! I’d love it if you could check mine out: https://homeandharrow.com Thanks!